In addition to a big wall harness, the Warden, Cassin (and CAMP) came out with a new approach to the daisy chain that eliminates mis-clipping. We had the chance to take a closer look at the 2014 Outdoor Retailer Winter show. If you liked the video above, subscribe to our Vimeo and YouTube channels to see more gear. 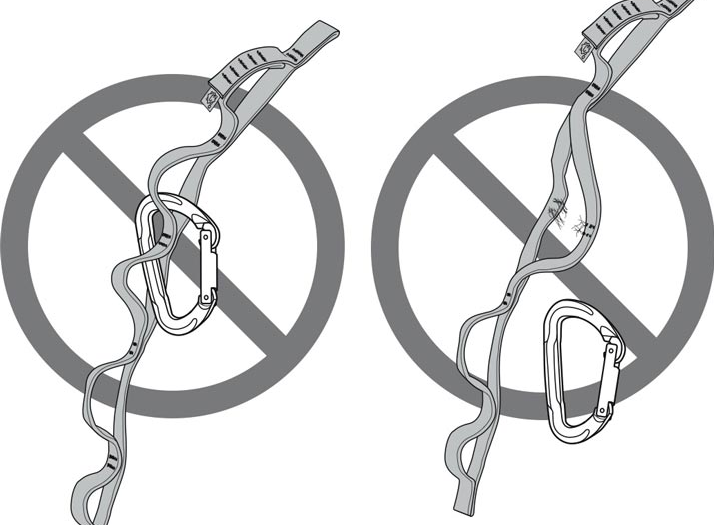 While Cassin and CAMP were creating their big wall harness, the Warden, another problem was staring them in the face: The traditional daisy design that is still mis-clipped even by experienced climbers. Cassin/CAMP solved this problem by adding a twist in the daisy fabric and with some extra stitching, creating a daisy that was impossible to misclip, calling it the Daisy Twist. Further: Traditional daisies are mis-clipped by cross-clipping two loops of a daisy chain. The full strength of a daisy comes from the main bartacks and not the individual loop tacks. Each loop has around 3kN of strength versus the full chain rated to about 22kN. 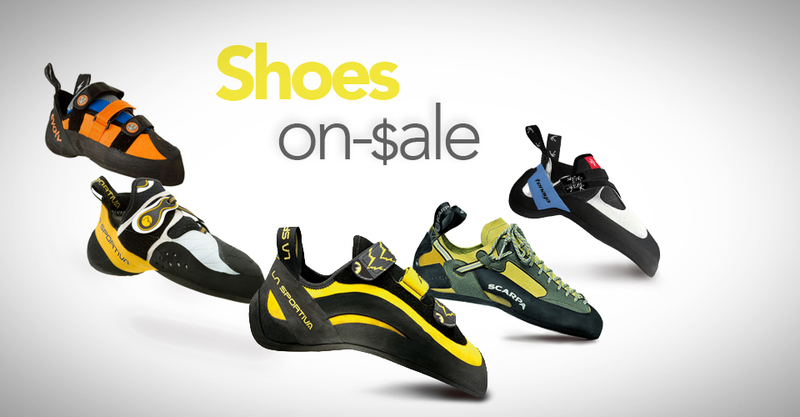 Daisies are designed specifically for aid climbing, not personal anchors. Check out Black Diamond’s QC Lab Post for more details of clipping daisies. Another helpful feature CAMP/Cassin added to the daisy was how it ties onto your harness. No longer do you girth hitch the daisy on your harness creating a slip knot that ruins the harness geometry as it smashes the tie-in points together. Instead, the daisy twist girth hitches on itself (still through the tie-in loops, but it catches on itself) to create a fixed loop, that does not distort the shape of the harness. The Daisy Twist will come in 48″ (120 grams) and 54″ (135 grams) lengths. And, two colors, for left and right daisies. The color options are grey/white and gray/orange. We haven’t seen the final color schemes in person but we’re hoping the color difference is blatantly obvious so there’s not a moments hesitation of finding right/left. Like the current dyneema daisy offering, the Daisy Twist will have a 22kN full strength rating. The individual loop strength will be slightly more than the traditional daisy method of 3kN (we don’t have the new number yet). The good news is it’ll be priced similarly to the previous offerings, $24.95 for the shorter version and $34.95 for the extra 6 inches. If you want to see more new CAMP/Cassin gear check out the Warden big wall harness or the X-Light technical ice tool, or see all the new gear from the Winter Trade Show. And if you have any questions about the Daisy Twist let us know in the comments and we’ll work to find you the answers! Good Day, I read your blog. Your humoristic style is great, keep up the good work! I’ve been using the daisy twist and really like it, but I’ve been using the traditional girth hitch on my harness. After watching the video I can’t see how it’s girth bitched with the new “window” on the daisy. Can you send me a better video or more detailed pictures. Hey Heath, I see what you’re saying. Basically, your traditional girth hitch is totally fine, by looping the daisy through the main big loop (but) what CAMP found was that when you do it that way, the knot cinches the tie-in points together and can make the harness less comfortable. 3. Cinch the hitch down, it will stop at the second loop and leave 2-3 inches of room so the tie-in points are more free/relaxed (and not crushed by the knot). That’s exactly what I needed. Thank you! !